Mindy Jane Roseman is the Academic Director of the Human Rights Program and a Lecturer on Law at Harvard Law School. 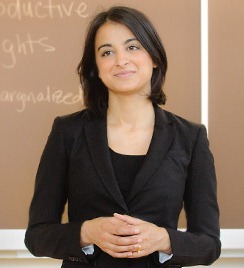 Before joining HRP, Roseman was an Instructor in the Department of Population and International Health at Harvard School of Public Health, and a Senior Research Officer at the International Health and Human Rights Program, François-Xavier Bagnoud Center for Health and Human Rights, Harvard School of Public Health. Roseman researched and reported on a range of health and human rights issues, with special focus on reproductive and sexual rights, including HIV and AIDS, and women’s and children’s rights. Before coming to Harvard she had been a staff attorney with the Center for Reproductive Rights in New York, in charge of its East and Central European program. After graduating from Northwestern University Law School in 1986, she clerked for Judge John F. Grady, Chief Judge, U.S. District Court, Northern District, IL. 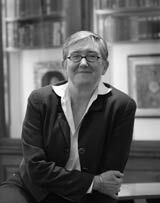 She also holds a doctorate in Modern European History, with a focus on the history of reproductive health, from Columbia University. Her publications include Reproductive Health and Human Rights: The Way Forward (Laura Reichenbach, co-editor),Interrogations, Forced Feedings and the Role of Health Professionals (co-edited with Ryan Goodman, Harvard University Press 2009), Women of the World (East Central Europe): Laws and Policies Affecting Their Reproductive Lives (CRLP, 2000), and Beyond Words: Images from America’s Concentration Camps (co-authored with Deborah Gesensway) (Cornell University Press 1987). Her current research projects include an assessment of international legal norms and their relationship to sexual health, and the effect litigation has had on the implementation of the right to health. She is also interested in the manifestation of gender bias in social science research and its translation into government policies and programs. Mindy Jane Roseman (With Alice Miller). Sexual and Reproductive Rights at the United Nations: Frustration or Fulfillment? Reproductive Health Matters, Vol. 19, No. 38, pp. 102-118, November 2011.